No Fenders -Formula 1, IndyCar and A Whole lot more..: Who will the 12th Man be? Uhm, NO! That's not in regards to the Seattle Seahawks vociferous, raucous, feverish, Diehard Fans affectionately known in the Pacific Northwest as the 12th Man... But instead to the mostly overlooked tender process currently taking place over who'll become Formula 1's 12th Constructor in 2015, as the process has been whittled down to three serious contenders - with today being D-Day for the potential candidates submitting their proposals showing their ability to adequately fund their team's entry beginning next season. 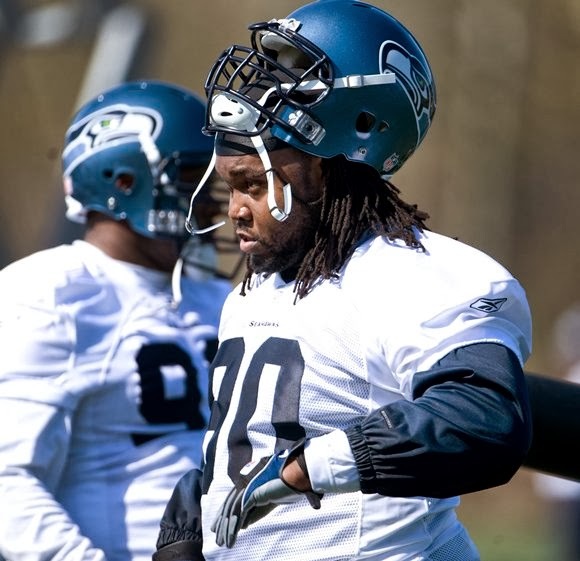 The three contenders, which I really believe are only two, unless somebody pulls a white rabbit out of a hat are Gene Haas and Dr. Colin Kolles, who in the past I've jested 'bout NOT being 'Cornfuzed with Funnyman ex-Seahawks Defensive Tackle #90 Colin Cole; Hooah! Dr. Colin Kolles is indeed the same ex-Team Principal of the failed Midland F1 Team, also having stints at Spyker and Force India before taking over the running of Hispania F1 before its demise and has long harboured ambitions of running his own Formula 1 team. Gene Haas is the proprietor of Haas Automation, a 'Mega CNC equipment supplier and currently co-owns Stewart Haas Racing which won the 2011 NASCAR championship with 'SMOKE, a.k.a. Tony Stewart - as its worth remembering that it was Haas who inked Kurt Busch to the team this season and said he'd pay for it out of his own pocket!